RICHMOND — Big plays on offense and an opportunistic defense was the recipe for success for the Edison football team. Anthony Sinicropi ran for 96 yards and a touchdown, threw for 87 more and another touchdown, while Kaleb Waggoner recorded 98 yards and two touchdowns on the ground, leading Edison to a 36-7 victory against Wellsville Friday night at Cartwright Memorial Field. The victory was O’Brien’s first as head coach at his alma mater. 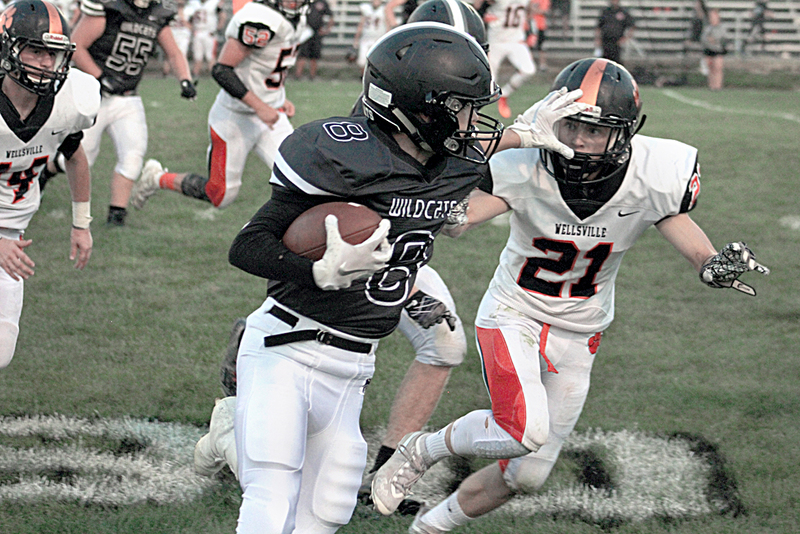 “The Tigers did not play very-good football,” Wellsville (0-2) head coach Moose Ramsey said. Three of Edison’s touchdowns came on plays of at least 43 yards. First, Sinicropi scampered for a 43-yard touchdown to put the Wildcats on top, 7-0. Next, Noah Woods returned an interception 95 yards on Wellsville’s ensuing possession, increasing Edison’s advantage to 13-0. Finally, Bryce McAfoose hauled in a 51-yard touchdown pass from Sinicropi in the third quarter to extend Edison’s advantage to 30-7. Waggoner capped the scoring with a 27-yard touchdown run. Woods also hauled in a 31-pass from Sinicropi, which set up Waggoner’s first touchdown of the game. Defensively, the Wildcats intercepted two passes and recovered two fumbles, while limiting the Tigers to just seven points. The biggest play was the interception return by Woods. The victory was a big one for the Wildcats as Edison lost its season opener to Southern Local, 39-13, up at Wigwam Stadium. Sinicropi was effective throwing the ball last week against the Indians, but the Wildcats did a lot of their damage against the Tigers on the ground. The Tigers were led offensively by standout senior running back Derrick Suggs. Suggs accounted for more than 73 percent of Wellsville’s offensive production on the night as he amassed 151 yards on 28 carries. Edison is scheduled to play at 7 p.m. Friday against Jefferson County rival Toronto at Clarke Hikle Field. Both teams enter the game at 1-1. Toronto opened the season with a 35-0 loss to Catholic Central at home, but bounced back to blank Bridgeport, 36-0, Friday night down at Red Devil Stadium in St. Clairsville. “We are going to enjoy this win tonight, and then we are going to get right back at it tomorrow,” O’Brien said. The Red Knights defeated the Wildcats, 34-13, last season on the road. Meanwhile, Wellsville will play Friday night at Malvern (1-1). Malvern lost 41-6 at Lisbon in Week 1 before coming back and defeating Conotton Valley, 30-6, Friday night. The game will be the Hornets first home game of the season. 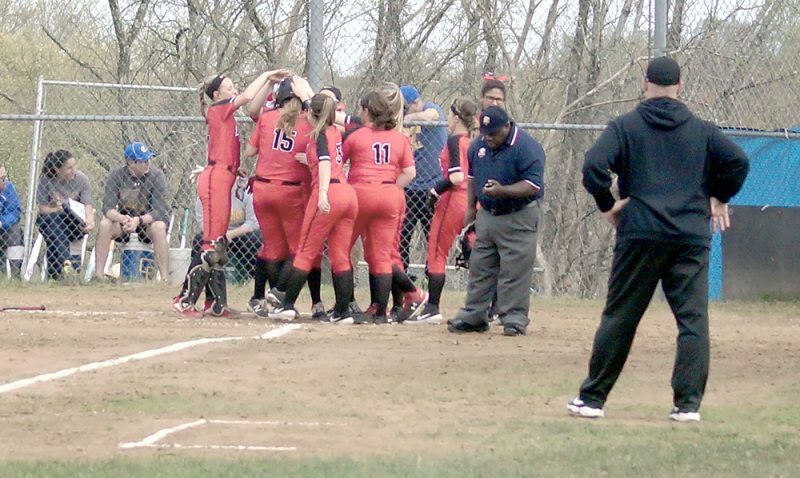 “We have to forget about this game and get ready for Malvern,” Ramsey said. RUSHING: Wellsville 51-190-1 (De. Suggs 28-151-1; Carter 3-3; Da. Suggs 8-(-3); Sarge 6-24; Tice 5-16; Krzyton 1-(-1)); Edison 34-242-3 (Sinicropi 12-96-1; Waggoner 14-98-2; Shrieve 5-52; Griffith 3-6). PASSING: Wellsville 3-8-16-0-2 (Carter 3-7-15-0-2; Da. Suggs 0-1-0-0-0); Edison 3-7-87-1-0 (all by Sinicropi). RECEIVING: Wellsville 3-16 (Da. Suggs 2-4; Burggess 1-11); Edison 3-87 (Kinney 1-5; Woods 1-31; McAfoose 1-51).